This article is about the city of Sylhet. For other uses, see Sylhet (disambiguation). 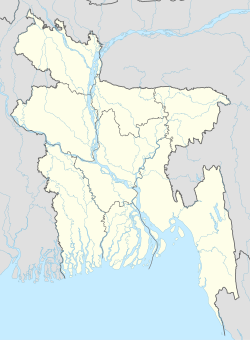 Sylhet (Sylheti: ꠍꠤꠟꠐ, Bengali: সিলেট), is a metropolitan city in northeastern Bangladesh. It is the administrative seat of Sylhet Division. The city is located on the right bank of the Surma River in northeastern Bengal. It has a subtropical climate and lush highland terrain. The city has a population of more than half a million. Sylhet is one of Bangladesh's most important spiritual and cultural centres. It is one of the most important cities of Bangladesh, after Dhaka and Chittagong due to its importance to the country's economy. The name of Sylhet is the anglicized form of the ancient Indo-Aryan term Srihatta. In 1303, the Sultan of Bengal Shamsuddin Firoz Shah conquered Sylhet by defeating the local Hindu Raja. Ibn Battuta visited Sylhet in the 14th century and saw Bengali Muslims transforming the region into an agricultural basket. Sylhet was a mint town of the Bengal Sultanate. In the 16th-century, Sylhet was controlled by the Baro-Bhuyan zamindars and became a district of the Mughal Empire. British rule began in the 18th century under the administration of the East India Company. With its ancient seafaring tradition, Sylhet became a key source of lascars in the British Empire. The Sylhet municipal board was established in 1867. Originally part of the Bengal Presidency and later Eastern Bengal and Assam; the town was part of Colonial Assam between 1874 and 1947, when following a referendum and the partition of British India, it became part of East Bengal. The Sylhet City Corporation was constituted in 2001. The Government of Bangladesh designated Sylhet a metropolitan area in 2009. The hinterland of the Sylhet valley is the largest oil and gas-producing region in Bangladesh. It is also the largest hub of tea production in Bangladesh. It is notable for its high-quality cane and agarwood. The city is served by the Osmani International Airport which is named after General M A G Osmani, the Commander of the Bangladesh Liberation Forces. People from Sylhet form a significant portion of the Bangladeshi diaspora, particularly in the United Kingdom and the United States, as well as other countries in the Middle East. The name Sylhet is anglicized from Srihatta. In Indo-Aryan languages, Sri means prestige or beauty. Hatta (Haat) is a term for a marketplace. The name of the region was changed to Jalalabad during the Sultanate period, but the actual town of Srihatta kept its name. In the Mughal Empire's records, Srihatta was used as the name for the city in the Bengal Subah. In British India, Srihatta became known as Sylhet in English and in Pakistan, the name Sylhet remained however the division was called Jalalabad. Sylhet was under the realm of the Harikela and Kamarupa kingdoms of ancient Bengal and Assam. Buddhism was prevalent in the first millennium. In the early medieval period, the area was dominated by Hindu principalities, which were under the nominal suzerainty of the Senas and Devas. The history of the dynasties in the region is documented by their copper-plate charters. The 14th century marked the beginning of Islamic influence in Sylhet. The Muslim general Shamsuddin Firoz Shah's army defeated the local Hindu Raja Gour Govinda. The general's army was aided by a Middle Eastern Sufi missionary, Shah Jalal, and 360 of his companions. The area then became known as Jalalabad (Land of Jalal). It hosted a mint which produced the taka. When the Moroccan traveller Ibn Battuta visited Shah Jalal in Sylhet in 1345, he noted that the locals embraced Islam due to Shah Jalal's missionary activities. "It was by his labours that the people of these mountains became converted to Islam" wrote Battuta in his diary. Bengali Muslims were exploiting the fertile land of Sylhet for agricultural production and enjoyed relative prosperity. The region began to experience an influx of Muslim settlers, including Turks, Arabs and Persians. The Mughals subsequently conquered the region. The place is famous for the shrine of Shah Jalal where thousands attend religious gatherings. Sylhet came under British administration in 1765. Sylhet was strategically important for the British in their pursuit of conquering Northeast India and Upper Burma. 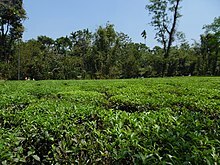 The first commercial tea plantation in British India was opened in the Mulnicherra Estate in Sylhet in 1857. Sylhet was constituted as a municipality in 1867. Despite protests to the Viceroy from its Bengali-majority population, the district was made part of the Chief Commissioner's Province of Assam in 1874 in order to facilitate Assam's commercial development. The Assam Bengal Railway was established in the late 19th century to connect Assam and Sylhet with the port city of Chittagong. In 1905, Sylhet became part of Eastern Bengal and Assam. In 1912, it was again separated from Bengal and made part of Assam Province. By the 1920s, organizations such as the Sylhet Peoples Association and Sylhet-Bengal Reunion League mobilized public opinion demanding the division's incorporation into Bengal. Due to the size of Sylhet's Bengali Muslim majority, the All India Muslim League formed the first elected government in British Assam. The numbers of lascars grew between the two world wars, with some ending up in the docks of London and Liverpool. Sylhet's lascars married English women. During World War II, many fought on the Allied front before settling down in the United Kingdom, where they opened cafes and restaurants. In 1947, following a referendum, almost all of erstwhile district of Sylhet became a part of East Bengal in the Dominion of Pakistan, barring its Karimganj sub-division which was incorporated into the Dominion of India. The referendum was held on 6 July 1947. 239,619 people voted to join East Bengal (with the effect of becoming East Pakistan) and 184,041 voted to be part of Assam (i.e. part of India). The referendum was acknowledged by Article 3 of the Indian Independence Act 1947. Sylhet became the hub of Pakistan's tea industry after 1947. 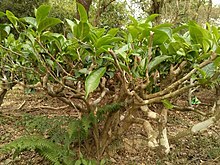 Pakistan became one of the world's largest tea exporters due to development of plantations in Sylhet by the Ispahani family, James Finlay & Company and others. Burmah Oil discovered natural gas reserves in Sylhet's hinterland in 1955. Sylhet was a focal point of East Pakistan's Liberation War, which created the Bangladeshi Republic. It was the hometown of General Muhammad Ataul Ghani Osmani, the Commander of Bangladesh Forces. The Battle of Sylhet raged between the Pakistani military and Bangladesh-India Allied Forces from 7 to 15 December 1971, eventually leading to a Pakistani surrender and the liberation of Sylhet. In 1995, the Government of Bangladesh declared Sylhet as the sixth divisional headquarters of the country. Sylhet has played a vital role in the Bangladeshi economy. Several of Bangladesh's finance ministers have been Members of Parliament from the city of Sylhet. Badar Uddin Ahmed Kamran was a longtime mayor of Sylhet. Humayun Rashid Choudhury, a diplomat from Sylhet, served as President of the UN General Assembly and Speaker of the Bangladesh National Parliament. In 2001, the municipality was upgraded to the Sylhet City Corporation. It was made a metropolitan city in 2009. Sylhet is located at 24°53′30″N 91°53′00″E﻿ / ﻿24.8917°N 91.8833°E﻿ / 24.8917; 91.8833, in the north eastern region of Bangladesh within the Sylhet Division, within the Sylhet District and Sylhet Sadar Upazila. Sylhet has a typical Bangladesh tropical monsoon climate (Köppen Am) bordering on a humid subtropical climate (Cwa) at higher elevations. The rainy season from April to October is hot and humid with very heavy showers and thunderstorms almost every day, whilst the short dry season from November to February is very warm and fairly clear. Nearly 80% of the annual average rainfall of 4,200 millimetres (170 in) occurs between May and September. The city is located within the region where there are hills and basins which constitute one of the most distinctive regions in Bangladesh. The physiography of Sylhet consists mainly of hill soils, encompassing a few large depressions known locally as "beels" which can be mainly classified as oxbow lakes, caused by tectonic subsidence primarily during the earthquake of 1762. It is flanked by the Indian states of the Meghalaya in the north, Assam in the east, Tripura in the south and the Bangladesh districts of Netrokona, Kishoregonj and Brahmanbaria in the west. The area covered by Sylhet Division is 12,569 km2, which is about 8% of the total land area of Bangladesh. Geologically, the region is complex having diverse sacrificial geomorphology; high topography of Plio-Miocene age such as Khasi and Jaintia hills and small hillocks along the border. At the centre there is a vast low laying flood plain of recent origin with saucer shaped depressions, locally called Haors. Available limestone deposits in different parts of the region suggest that the whole area was under the ocean in the Oligo-Miocene. In the last 150 years three major earthquakes hit the city, at a magnitude of at least 7.5 on the Richter Scale, the last one took place in 1918, although many people are unaware that Sylhet lies on an earthquake prone zone. Sylhet consists of 27 wards and 210 mahallas, it is a small city with an area of 26.50 km2. The rapid growth and expansion of Sylhet occurred during the colonial period. Sylhet Municipality was established in 1878. A devastating earthquake demolished almost the entire town on 12 June 1897 following which a modern and European model new town was built on the wreckage. Many new roads were constructed in the late 1890s and Sylhet became really connected to the other parts of the country with the establishment of an extension line of Assam Bengal Railway in 1912–15. From the beginning of the 20th century, the importance of Sylhet increased with the establishment of the tea industry. In the 1950s and 1960s, rapid urbanisation took place in the town, fostered by the expatriate Sylhetis and the process is still ongoing. On 10 April 2001, Sylhet was changed to a city corporation from a municipal board, and currently the city is administrated by the Sylhet City Corporation. At present, Sylhet is the district-headquarters as well as the divisional headquarters of the districts of Sunamganj, Habiganj, Moulvibazar and Sylhet District. The Sylhet City Corporation is responsible for the services that are provided within the city which includes traffic, roads, garbage collection, water supply, registrations and many others. The corporation consists of the Mayor and 22 other commissioners, and focuses on the development of the city. Sylhet is strategically important for the Bangladesh Armed Forces. The Bangladesh Army's 17th Infantry Division is based at Jalalabad Cantonment in Sylhet. The cantonment is also home of the School of Infantry and Tactics (SI&T) and the 1st Para-commando Battalion, an elite commando unit of the Bangladesh Army. Sylhet is also home to many hospitals that strategically provide healthcare to the community such as the Shahid Shamsuddin Hospital District Hospital, Sylhet MAG Osmani Medical College, Jalalabad Ragib-Rabeya Medical College, North East Medical College, Sylhet Women's Medical College, Parkview Medical College, Ibn Sina Hospital Sylhet Ltd, Noorjahan Hospital (pvt) Ltd, Oasis Hospital, Mount Adora Hospital, Square Medical Service, Popular Medical Service, Medinova Medical Service, Labaid Ltd and the Mohanagar Hospital as well as world's leading five star hospital such as the Al Haramain Hospital. According to the 2011 Bangladesh census, the city had a population of 531,663. The population growth rate of the city is 1.73%, which has reduced from 1.93% in 1991. As of 2001, It had average literacy rate of 69.73%. The highest literacy rate was 84.24% in Ward 22 and the lowest was 48.15% in Ward 10 (2001). The total number of households in the city was 55,514. The majority of the population are of Bangali (Sylheti) ethnic background, while there are significant minority groups which includes the Bishnupriya Manipuri, Khasi and others. Sylheti is spoken by the vast majority of the people, while standard Bengali is the official language used by the state government and officials. The majority of Sylhetis are Muslims (87.2%), other religious groups include Hindus (12.6%) and less than 0.2% of other religions, mainly Buddhists and Christians. The majority of the Muslims are mainly Sunni Hanafi; and there are significant numbers of people who also follow Sufi ideals, the most influential is the teachings of Maulana Abdul Latif who was from the village of Fultoli, Zakigang. He was a descendant of Shah Kamal Quhafa, one of the disciples of Shah Jalal. In the United Kingdom, the 2001 Census found 283,000 people of Bangladeshi heritage, 154,000 of whom were Bangladeshi-born. As of 1986, an estimated 95% of Bengalis living in the United Kingdom were from Sylhet Division. They are concentrated in the boroughs of East London, having established themselves within the communities, notably in the vicinity of Brick Lane which has been dubbed as Banglatown. Sylheti expatriates are known as "Londoni" in Sylhet. Many have also emigrated to the United States, they are mainly spread out across the country but have a large concentration in New York City and Hamtramck, Michigan. Many Sylhetis have also emigrated to Canada, France, Australia, Spain, Germany, Sweden and other European countries. Tens of thousands of Sylhetis are also working as guest workers in the Middle Eastern Gulf states. Sylhet has a "Friendship Link" with the city of St Albans in the United Kingdom. The link was established in 1988 when the District council supported a housing project in Sylhet as part of the International Year of Shelter for the Homeless. Sylhet was chosen because it is the area of origin for the largest ethnic minority group in St Albans. In July 1996, the mayor of Sylhet, Badar Uddin Ahmed Kamran, signed the twinning accord between Sylhet and the London Borough of Tower Hamlets (home to around 55,000 Sylhetis at the time), with the mayor of Tower Hamlets, Albert Jacobs, in London. Sylhet has played a vital role in the Bangladeshi economy. Several of Bangladesh's finance ministers have been Members of Parliament from the city of Sylhet. Badar Uddin Ahmed Kamran was a longtime mayor of Sylhet. Humayun Rashid Choudhury, a diplomat from Sylhet, served as President of the UN General Assembly and Speaker of the Bangladesh National Parliament. The Sylhet Metropolitan Area is one of Bangladesh's main business centers. Sylhet's economy is closely linked with the Bangladeshi diaspora, especially the British Bangladeshi community. The city receives a significant portion of the country's annual remittances, which have driven growth in real estate and construction. A number of shopping centers, restaurants and hotels have opened as a result. Sylhet also relies on religious tourism, with thousands of devotees visiting its Sufi shrines annually, as well as ecotourism in its broader natural hinterland. Nature resorts have been built in the city's outskirts. Several important Bangladeshi companies are based in Sylhet, including Jalalabad Gas Transmission and Distribution, Sylhet Gas Fields and Alim Industries. Biman Bangladesh Airlines operates several flights from Sylhet to the United Kingdom and the Middle East. Roads connect Sylhet with the Indian states of Meghalaya and Assam. Sylhet's hinterland plays a vital role in the economy of Bangladesh. It is home to the country's largest natural gas fields, sole crude oil field, largest tea plantations, rubber, palm oil, cane, agarwood and citrus farms. Rice production in the region is one of the country's highest. Heavy industries include power plants, fertilizer plants, cement plants and liquefied petroleum gas plants. Other major industries in the region include ceramics, machinery and equipment, ready-made garments and pharmaceuticals. Most of the tea production in Bangladesh is based around Sylhet, and the industry also has significant exports. The area is also known for producing oranges and other similar fruits. One of these fruit is called "Satkara" which is a variety of grapefruit that can be used in pickles and even as an ingredient in traditional Sylheti curry dishes. Two Bangladeshi finance ministers from the city have been elected to the Jatiyo Sangshad: Saifur Rahman of the Bangladesh Nationalist Party and Abul Maal Abdul Muhith of the Awami League. Sylhet has high rates of electric power shortage and water shortage. According to the Power Development Board, Sylhet is only receiving 50 MW, which is half if the required demand of 100 MW. The city corporation is also supplying only 22,500 gallons of water, far less than the demand of about 65,000. The major sources of water to the city is the tube wells and the Surma River. Tests of tube wells in Sylhet District by the Bangladesh University of Engineering and Technology in 1997 found that about 27.6% contained more arsenic than the acceptable limit set by Bangladesh of 50 micrograms per liter, and 49.2% contained more arsenic than the World Health Organization standard of 10 micrograms per liter. There are about 331 registered restaurants in the city, only 15% maintain sanitary facilities and 85% have unhygienic conditions that are unsafe for the public. Sylhet has a very diverse culture which is noticeably distinct from that of Bengali owing to the influx of multi-ethnic immigrants in ancient times. There is a widely held misconception through which Sylhetis are usually seen as having a conservative mindset; a very inaccurate portrayal of Sylhetis and their culture, while in reality it's quite the opposite thanks to Sylheti culture's liberal and pro-plurality outlook. Sylhet is religiously very diverse, and is noted for peaceful co-existence, harmony, and mutual respect between its inhabitants of different faiths since ancient times. Sylhet has a distinct cultural and economic development, and linguistic differences (Greater Sylhet region was a part of Assam and Surma Valley State for much of the British Raj in comparison to the rest of Bangladesh), and given that Sylhet has, for most of its recent history, been a region of a larger entity. As so many Sylhetis are resident abroad, Sylhet has a major flow of foreign currency from non-resident Bangladeshis. The major holidays celebrated in Sylhet include traditional and religious celebrations, Eid E Miladun Nabi (S.A), Ramadan, Eid-ul-Fitr, Eid-ul-Adha, Durga Puja, Diwali, Holi, Christmas, Easter, Magha Purnima  Cultural or nationalistic celebrations include the Language Movement Day, this is where wreaths are laid at the Shaheed Minar paying tribute to the martyrs, the Bangladeshi Independence Day, Victory Day celebrated with parades by school and academies, and the Pohela Baishakh—celebration of the Bengali New Year. Marriages are practised in a traditional sylheti Muslim style, sini faan (engagement) with the gaaye halud (haldi or turmeric ceremony), mehendi (henna ceremony) akht (Nikah) and walima (reception) holy prayers. The traditional dance of Sylhet is called Sylheti Dhamail. Cricket is the most popular sport in Sylhet. Bangladesh Premier League franchise Sylhet Sixers are based in Sylhet International Cricket Stadium (M.A.G. Osmani Stadium), which was built in 2007 and has a capacity of 18,500 spectators. The Sylhet International Cricket Stadium was renovated in 2013 especially to host matches of 2014 ICC World Twenty20. It is situated near lush green tea gardens on the city fringe. In the National Cricket League Sylhet Division has not won any titles however did win in the One-Day Cricket League in 2001–02 season. Notable players from Sylhet who have played for the Bangladesh national cricket team include Rajin Saleh, Enamul Haque Jr, Tapash Baisya, and Alok Kapali. Chess player Rani Hamid was awarded the FIDE Women's International Master (WIM) title in 1985. The main transport systems used in the city are cycle rickshaws, auto rickshaws (mainly known as baby-taxis or CNGs), buses, mini-buses and cars. There are about 80,000 rickshaws running each day. Bus service prices have increased as of 2008, up to 30% higher, prices ranges from Tk 4 to 15.95. The N2 is the national highway that connects the city with country's capital and largest city Dhaka as well as with many other parts of the country. The N2 highway is also part of AH1 and AH2- two longest routes of the Asian Highway Network. The city of Sylhet is served by Osmani International Airport, located at the north of the city. It is Bangladesh's third busiest airport and became an international airport due to the demand of expatriate Bangladeshis and their descendants from the United Kingdom and the United States. The main frequent airlines of the airport are Biman Bangladesh Airlines, Flydubai, United Airways, US-Bangla Airlines and Novoair. The airport received its first international arrival on 3 November 2002, with Biman arriving from Kuwait via Abu Dhabi en route to Dhaka. Meanwhile, it received first direct international arrival on 15 March 2017 as a direct flight of Dubai based carrier Flydubai landed at the airport. Work started in 2006 to upgrade the airport to international standards, including a new terminal building, a jetway, a taxiway, and expansion of the runway to accommodate wide-bodied aircraft. It was confirmed that in May 2007, Biman will be operating Hajj flights directly from the airport later in 2007. Government will construct a 34,919 square-metre high-quality international passenger terminal building, cargo building, control tower, parking, taxiway and other important infrastructures to meet the growing demand in line with the increase of passengers and cargo transportation at the airport. ^ a b c d "National Volume-3: Urban Area Report" (PDF). Population and Housing Census 2011. Bangladesh Bureau of Statistics. August 2014. pp. 25, 48. Archived from the original (PDF) on 18 May 2015. ^ "Bangladesh clamps down on beggars". BBC News. 2 April 2009. Retrieved 2 April 2009. ^ "Sylhet Metropolitan Police". sylhetmetropolitanpolice.com. ^ a b Tanweer Fazal (2013). Minority Nationalisms in South Asia. Routledge. p. 53. ISBN 978-1-317-96647-0. ^ Perween Hasan (15 August 2007). Sultans and Mosques: The Early Muslim Architecture of Bangladesh. I.B.Tauris. p. 12. ISBN 978-1-84511-381-0. ^ Milton S. Sangma (1994). Essays on North-east India: Presented in Memory of Professor V. Venkata Rao. Indus Publishing. p. 75. ISBN 978-81-7387-015-6. ^ a b "Welcome sylhetcitycorporationbd.org - Justhost.com". www.sylhetcitycorporationbd.org. ^ "Sarkar - Banglapedia". en.banglapedia.org. ^ Dilip K. Chakrabarti (1992). Ancient Bangladesh: A Study of the Archaeological Sources. Oxford University Press. p. 166. ISBN 978-0-19-562879-1. ^ Syed Umar Hayat (July – December 1996). "Bengal Under the Palas and Senas (750-1204)". Pakistan Journal of History and Culture. 17 (2): 33. ^ Kamalakanta Gupta (1967). Copper-Plates of Sylhet. Sylhet, East Pakistan: Lipika Enterprises. OCLC 462451888. ^ Muhammad Mojlum Khan (21 October 2013). The Muslim Heritage of Bengal: The Lives, Thoughts and Achievements of Great Muslim Scholars, Writers and Reformers of Bangladesh and West Bengal. Kube Publishing Limited. pp. 25–. ISBN 978-1-84774-062-5. ^ Nasir, Tasnuba; Shamsuddoha, Mohammad (June 2011). "Tea Productions, Consumptions and Exports: Bangladesh Perspective" (PDF). International Journal of Educational Research and Technology. 2 (1): 68–73. ^ Tanweer Fazal (2013). Minority Nationalisms in South Asia. Routledge. pp. 53–54. ISBN 978-1-317-96647-0. ^ Tanweer Fazal (2013). Minority Nationalisms in South Asia. Routledge. pp. 54–55. ISBN 978-1-317-96647-0. ^ Al-Mahmood, Syed Zain (19 December 2008). "Down the Surma – Origins of the Diaspora". Star Weekend Magazine. 7 (49). The Daily Star. Retrieved 28 May 2009. ^ Bengali speaking community in the Port of London PortCities London. Retrieved 28 May 2009. ^ "Sylhet (Assam) to join East Pakistan". Keesing's Record of World Events. July 1947. p. 8722. Archived from the original on 4 December 2013. ^ "Gas, Natural - Banglapedia". en.banglapedia.org. ^ "Basics of Islam". Londoni. ^ Monthly Averages for Sylhet, BGD MSN Weather. Retrieved 25 May 2009. ^ Siddiquee, Iqbal (10 February 2006). "Sylhet growing as a modern urban centre". Our Cities: 15th Anniversary Special. The Daily Star. Retrieved 25 May 2009. ^ "Climatological Information". WMO. Retrieved 20 January 2015. ^ a b "Bangladesh Bureau of Statistics" (PDF). Archived from the original (PDF) on 28 September 2007. ^ The Sylhet City Corporation Archived 12 December 2009 at the Wayback Machine Swadhinata Trust. Retrieved 26 May 2009. ^ "PM launches 17 Infantry Division | Dhaka Tribune". archive.dhakatribune.com. Retrieved 24 November 2016. ^ "From transit passenger to business tycoon | Khaleej Times". Retrieved 2 May 2017. ^ Bangladesh Bureau of Statistics, Statistical Pocket Book, 2007 (pdf-file) Archived 28 September 2007 at the Wayback Machine 2007 Population Estimate. Retrieved 29 September 2008. ^ Area, Population and Literacy Rate by Paurashava −2001 Archived 17 December 2008 at the Wayback Machine Bangladesh Bureau of Statistics. Retrieved 30 May 2009. ^ Exploring the Marginalized Samir Ranjan Nath. BRAC. February 2013. Retrieved 2017-04-26. ^ "Sylheti unicode chart" (PDF). ^ a b Dr David Garbin (17 June 2005). "Bangladeshi Diaspora in the UK : Some observations on socio-culturaldynamics, religious trends and transnational politics" (PDF). University of Surrey. Archived from the original (PDF) on 23 September 2010. Retrieved 3 June 2008. ^ "Born Abroad: Bangladesh". BBC News. 7 September 2005. Retrieved 19 May 2009. ^ Gardner, Katy (July 1992). "International migration and the rural context in Sylhet". New Community. 18 (4): 582. doi:10.1080/1369183X.1992.9976331. ^ Baishakhi Mela 2009 (London) – Nukul Kumar – Sylhet Jila Shobche Boro Channel S (via YouTube). 10 May 2009. Retrieved 24 May 2009. ^ Mela Magic Archived 15 June 2009 at the Wayback Machine Tower Hamlets Council. 11 May 2009. Retrieved 24 May 2009. ^ "Genetics, Religion and Identity: A Study of British Bangladeshis – 2004–2007" (PDF). School of Social Sciences – Cardiff University – funded by the Economic and Social Research Council. Retrieved 15 September 2008. ^ Kaari Flagstad Baluja (2003). Gender Roles at Home and Abroad: The Adaptation of Bangladeshi Immigrants. LFB Scholarly Pub. (University of Michigan). pp. 77. ISBN 1-931202-51-6. ^ Census Profile: New York City’s Bangladeshi American Population Archived 30 May 2009 at the Wayback Machine Asian American Federation of New York Census Information Center. 2005. Retrieved 27 May 2009. ^ Eve Gregory, Ann Williams (2000). City literacies: learning to read across generations and cultures. Routledge. pp. 39. ISBN 978-0-415-19116-6. ^ Robin Cohen (1995). The Cambridge survey of world migration. Cambridge University Press. pp. 360. ISBN 978-0-521-44405-7. ^ "Returning home to build mansion". 22 December 2011 – via www.bbc.com. ^ "Haripur Oilfield - Banglapedia". en.banglapedia.org. ^ Iqbal Siddiquee (5 May 2009). "Power, water crises grip Sylhet city". The Daily Star. Retrieved 29 May 2009. ^ "Arsenic poisons Sylhet water". The Independent. Dhaka. 11 September 1997. Archived from the original on 27 October 2004. Retrieved 29 May 2009 – via Engconsult Ltd.
^ Study of Water Quality in Sylhet City and its Restaurants: Health Associated Risk Assessment Archived 1 April 2010 at the Wayback Machine Tehran University of Medical Sciences. Retrieved 29 May 2009. ^ Security beefed up in Sylhet for Eid Archived 15 April 2008 at the Wayback Machine New Age Metro. 22 October 2006. Retrieved 25 May 2009. ^ Marika McAdam (2004). Bangladesh. Lonely Planet. pp. 145. ^ Players and Officials – Rajin Saleh Cricinfo. Retrieved 27 May 2009. ^ Players and Officials – Enamul Haque jnr Cricinfo. Retrieved 27 May 2009. ^ Players and Officials Hasibul Hussain who was the opening bowler in the 1999 World Cup – Tapash Baisya Cricinfo. Retrieved 27 May 2009. ^ Players and Officials – Alok Kapali Cricinfo. Retrieved 27 May 2009. ^ Sylhet city bus services hike fares on whim Archived 15 June 2009 at the Wayback Machine New Age Metro. 4 November 2008. Retrieved 25 May 2009. ^ Weekly Holiday (22 November 2002). "Biman launches Kuwait-Sylhet flight". Aviatour. ^ "First direct international flight lands at Sylhet airport". The Daily Star. 16 March 2017. Retrieved 26 March 2017. ^ "Osmani Airport expansion work begins in July". The Daily Star. 13 May 2004. ^ "Runway expansion at Osmani Airport nearing completion". New Age. 12 May 2007. Archived from the original on 15 June 2009. Retrieved 14 May 2007. ^ "International terminal at Osmani Airport on the cards". Banglanews24.com. 24 October 2018. 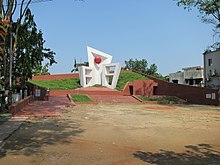 ^ Shahjalal University of Science and Technology Archived 27 December 2009 at the Wayback Machine Varsity Admission. Retrieved 25 May 2009. ^ "Sylhet Engineering College". The Daily Star. 9 November 2008. Retrieved 25 May 2009. ^ Islam, Mohammad Shafiqul (25 March 2007). "Inter University Debate Competition: Metropolitan University Team Champion". The Daily Star. Retrieved 25 May 2009. ^ St Albans City and District Council, Mayoralty Section. "Sylhet, Bangladesh". www.stalbans.gov.uk. ^ "Rochdale Township Committee" (PDF). Rochdale Borough Council. Retrieved 22 April 2016.